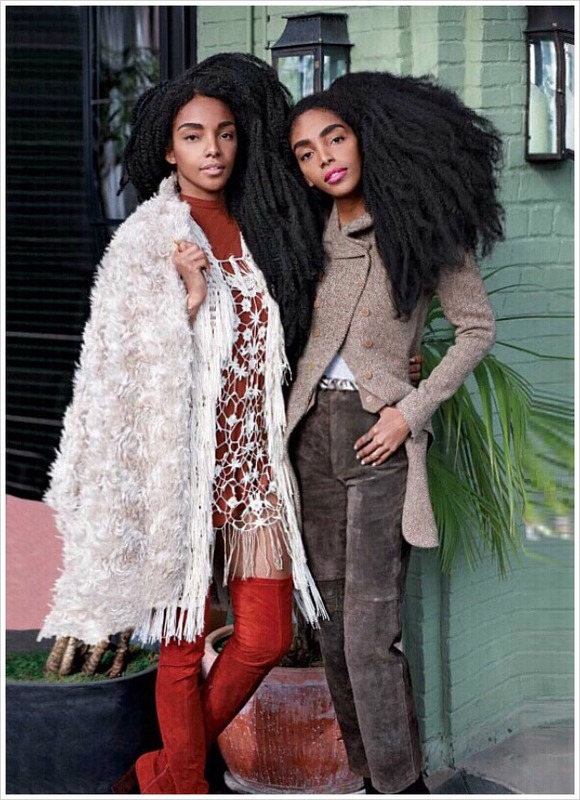 Street style stars TK Wonder and Cipriana Quann have become regulars on the fashion circuit. The identical twins, now represented by IMG Models, explain their ascent. Tell us about your site, Urban Bush Babes. 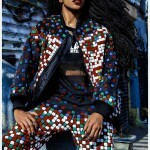 Cipriana: I co-founded the site with Nikisha Brunson in 2011, and my sister, TK Quann (aka TK Wonder) joined in 2013 as Executive Contributor. 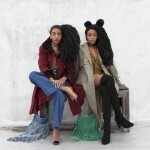 The site is for women of color to feel comfortable expressing themselves—we show what mainstream reality doesn’t often show, featuring women of color in a positive light who are lawyers, chefs, doctors, artists, etc… We also wanted to break those lines and barriers of what people see as beautiful, in realizing beauty is almost everywhere. Beauty is diversity, beauty is “imperfections” and that comes from within. Do you tire of talking about your hair? Cipriana: I don’t mind talking about hair, because I feel like a lot of people are not very knowledgeable about it. They will say certain things that they might not realize come from a very stereotypical mindset or a place of ignorance. The only time I do get a little annoyed is when people want to grab my hair and then get offended when I say they need permission to touch it. TK: One of the common questions we also get is, “Is that all your hair?” I know we have a lot of hair, but it’s coming from a stereotype that black women can’t grow long, natural hair without weave or extensions. How did you end up on the fashion radar? TK: It started when we began to photograph our vintage finds. We worked with a photographer and shot a plethora of street styles on our own—simply because we love fashion; we didn’t have a targeted goal. Cipriana: I was featured in a video series for Vogue, “My Life at Vogue.” They followed me around for the day and I talked about Urban Bush Babes. It was incredibly flattering, and TK and I received a lot of exposure regarding that feature. 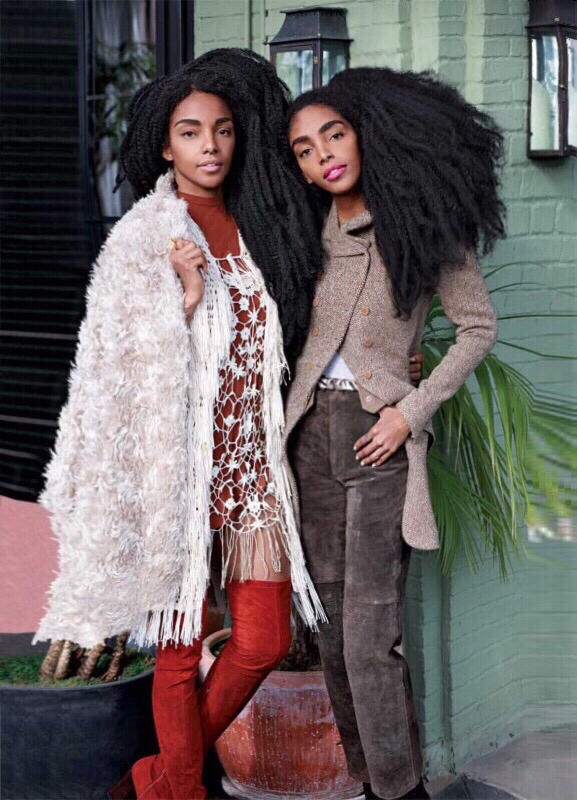 Vogue Magazine featured us in a siblings story as well (February 2015 issue), and we started accumulating invites to shows. Photographers wondered who we were, and it spiraled from there. How did you end up signing with IMG Models? TK: They asked us what what we wanted as individuals and for our brand, as well as how we could see ourselves within the agency. Cipriana: They also shared that they appreciated what we stood for, and that the industry really needed that type of diversity, which was really great to hear. TK: I’ve always been a firm believer in being open to possibilities. I never like to place limitations on myself, because maybe there is a door that will present itself that I had never considered before. Cipriana: Sometimes we as individuals get so caught up in focusing on the future that we don’t enjoy life or live in the now. Therefore you could possibly be cutting off different opportunities just because you have such a straightforward path. I love the element of surprise. Who are your designer friends? What’s your go-to vintage shop? Cipriana: The Mobile Vintage Shop. It’s amazing—the owner has two mobile trucks and a store located at 28 Scott Avenue in Brooklyn. Everything is $10 or less! What’s the best part of having a twin? TK: Having a best friend 24 hours a day. 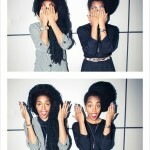 Cipriana: Having someone you know will never judge you, no matter what! You both laugh a lot.